The PCMCIA card is standard. It has two LEDs (Link and Active) inside the semitransparent black case which are well seen during operation. 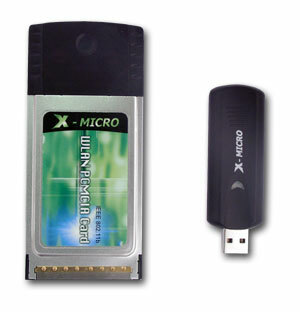 The USB card is miniature and reminds a USB key. It has only one LED that goes on when the card gets connected and starts blinking when data are transferred. The XWL-11bUZX easily fits in your pocket and is very convenient for fast connection of any computer equipped with a USB interface to a wireless network. None of the cards has connectors for an external antenna. Maybe it's not critical for the USB adapter, but it would be useful in the PCMCIA card. 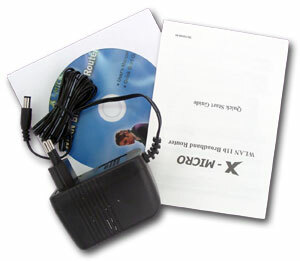 Both adapters come with a quick installation guide (in English), a CD with drivers for Windows and a detailed manual. By the way, the CDs have drivers only for the device they come with, not for the whole line, which is more traditional. I wonder why the developers don't make a universal CD for the whole line, - it's simpler for the developers and more convenient for a user with several wireless devices as it's not necessary to replace CDs when arranging a wireless network. On the boxes you can read about that the drivers for Linux, but I couldn't find them on the CDs and any information about them in the manual. In the Drivers section I couldn't find anything about 802.11b drivers at all. 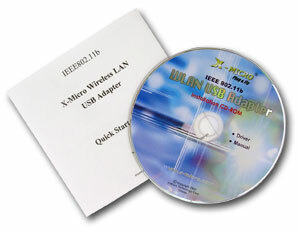 X-MICRO's technical support sent me the drivers based on the source code from http://www.linux-wlan.com/. They will soon appear on the official site. Both adapters ship in original packages. The box is of the CD box size and almost 1.5 cm thick. 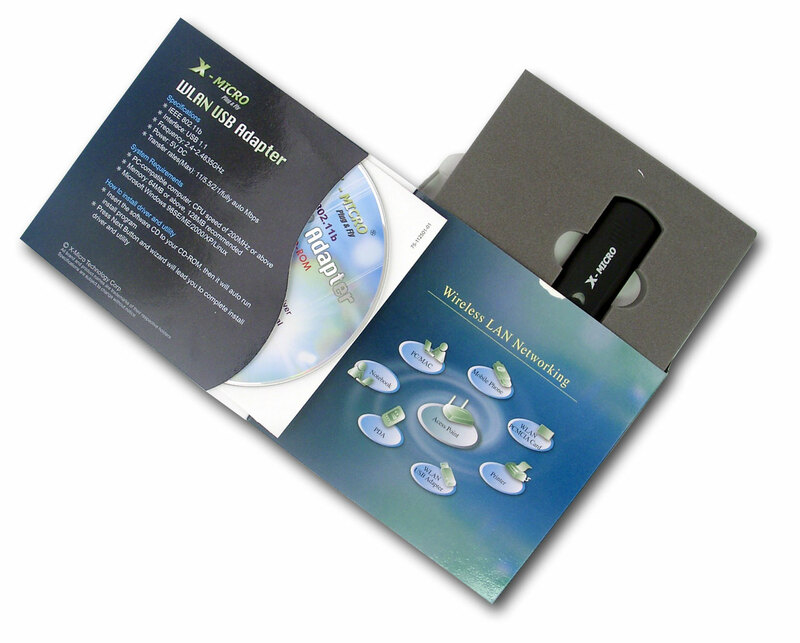 It contains the CD, the manual and foam-rubber storing the device itself which can be seen through a transparent window in the box. In other words, the box looks beautiful and occupies little space. 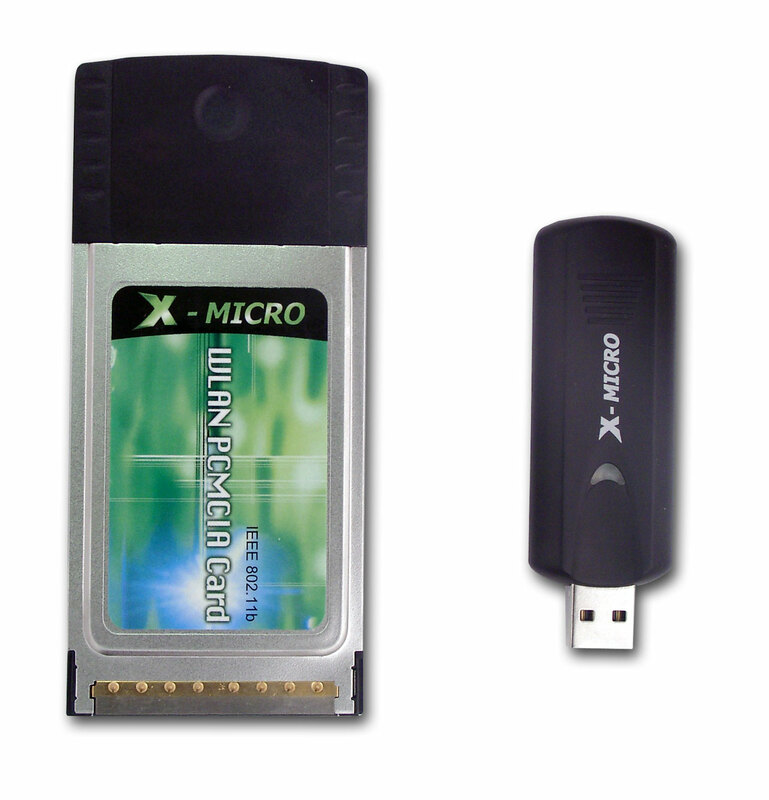 The software suites differ for the PCMCIA and USB cards (for the PCMCIA on the left, for the USB on the right), but it allows configuring the same settings. 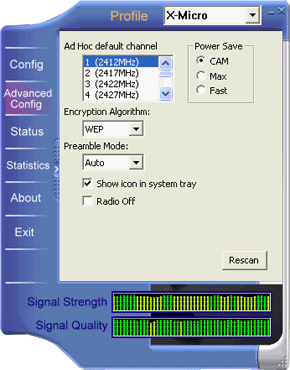 In the main menu you can scan the frequency and connect to a required network. 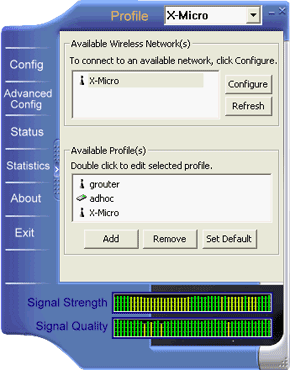 You can also check a signal level and connection quality (the PCMCIA card indicates it with running vertical bars). The software also allows making several profiles for different networks. 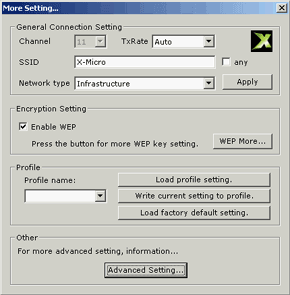 Each profile stores key network settings such as a network type, rate, SSID and WEP encryption. 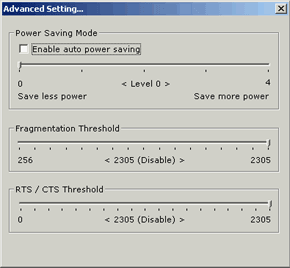 In the additional options you can configure extended settings. 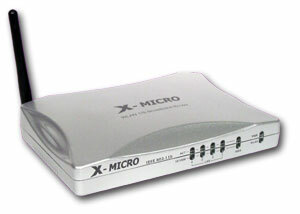 XWL-11bRRG combines a NAT router, a 4-port switch and a wireless access point. 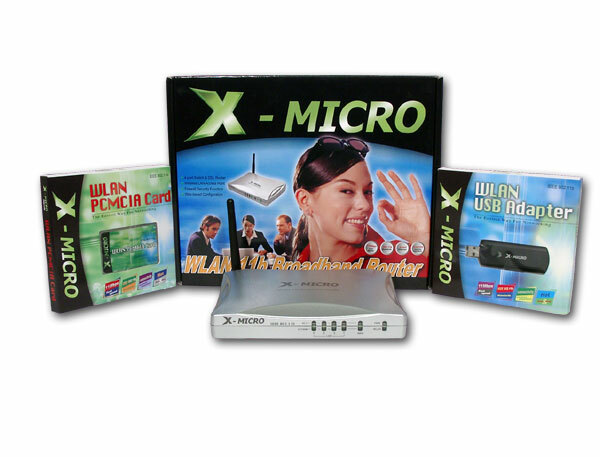 It's designed for the Internet access from a local network, as well as mobile wireless clients. Additional access point functions (bridge) are not supported. The case is not big and made of silvery plastic, with the upper panel designed in the X-style. In front you can see 4 pairs of one-color LEDs of the local ports (the upper one indicates connection and client activity, the lower ones go on at 100 Mbit), there's one more pair of similar WAN LEDs of the external port and one more pair of Power/Wlan LEDs. The WLAN blinks if clients are available in the wireless segment. The way the LEDs are laid out is not convenient as the front panel is vertical, and if you look at the router from above, you will see that the double LEDs merge onto one. Underneath are 4 rubber legs and holes for hanging it on the wall. There's only a Reset button that returns default settings. On the back are 4 RG45 connectors of the LAN ports, one similar WAN connector and a power supply one. The antenna is not removable, - it was probably done to cut the router's cost price. The router comes with an external power supply unit, a quick installation guide and a CD with a mode detailed manual in English and German. 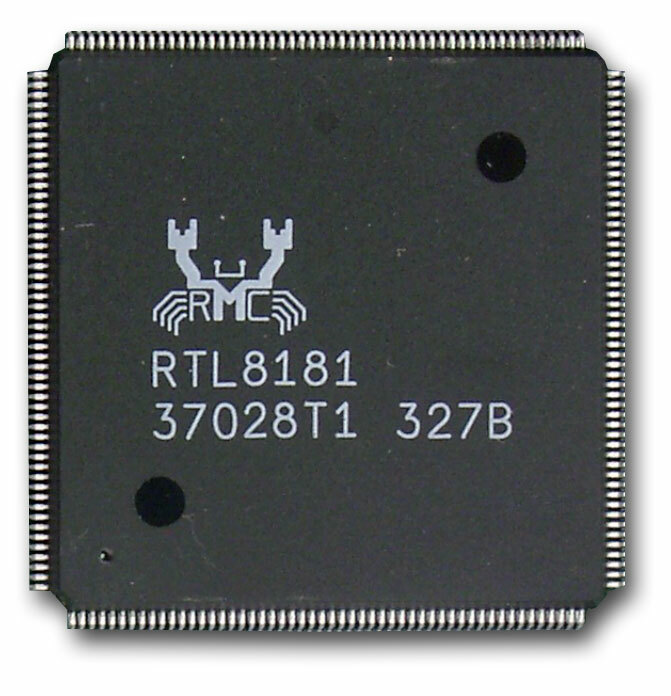 The device is built on the Realtek RTL8181 controller which consists of a 32-bit RISC microcontroller, 2 Ethernet MAC controllers and 1 WLAN one, PCI 2.2 bridge and a memory access controller. 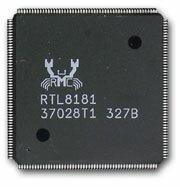 The RTL8305SB microcontroller serves as an integrated 10/100Mbit Ethernet switch. There are also two SD-RAM chips ISSI IS42S16400A, each of 64 Mbit (up to 166 MHz) and a flash memory chip of an unknown size (but not over 4 MB). 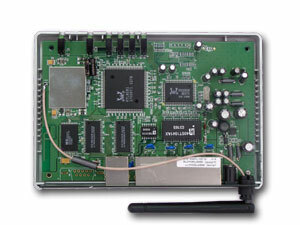 The wireless module is reliably hidden under the screen. 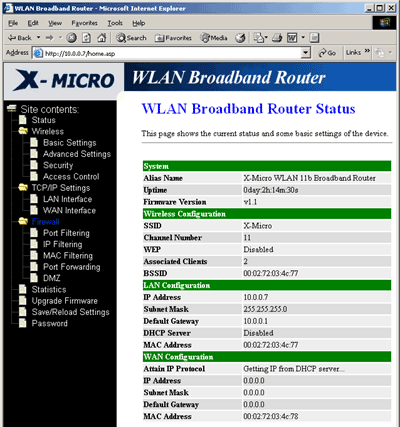 The configuration is standard, WEB interface used. 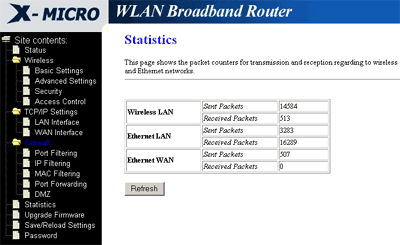 The status window is default and shows current wireless router parameters. 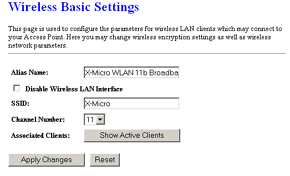 In the Basic and Advanced sections you can configure standard options (SSID, channel number, data rate), and extended ones. You can also ban the broadcast SSID, look through the clients working with the access point at the moment. 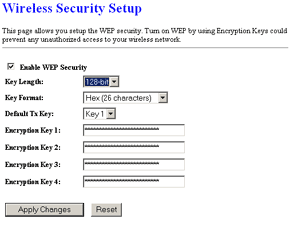 The next two screens configure security of the wireless segment, in particular WEP encryption and MAC address filtering. 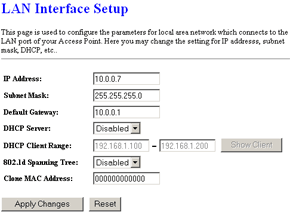 In the TCP/IP Settings section you can configure TCP/IP addressing in LAN and WAN interfaces and the embedded DHCP server. Also, you can enable the 802.1d Spanning Tree protocol for LAN interfaces, though it's not needed much for SOHO routers. Firewall configuring. 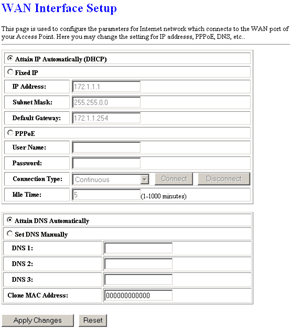 Unfortunately, it's impossible to create a rule dealing both with the ports and IP addresses. You can make a lot of rules filtering ports and a lot of rules filtering IP addresses, but not both. Also, you can't use this firewall to close ports on the WAN interface. All the rules work only for addresses from the local network. In the next TCP/IP Settings section you can set rules for filtering MAC addresses on LAN interfaces and configure them the same way. Then you can configure redirection of ports (virtual hosts) and DMZ host. By the way, you can add comments to each rule created. 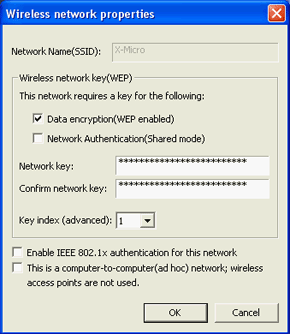 Next window offers statistics (sent/received bytes on LAN/WAN/WLAN interfaces), to update firmware and save/load its configuration. In the last section you can set a password to access the WEB interface which is lacking by default (it's not right). 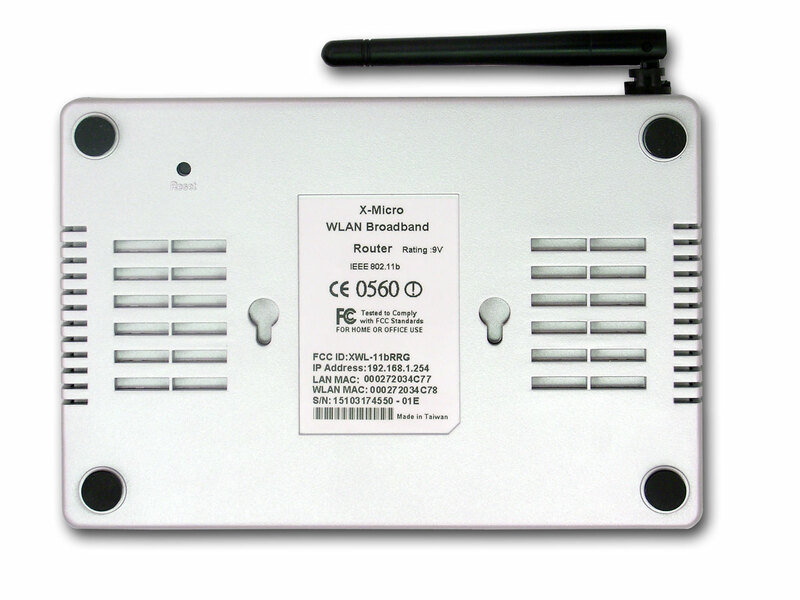 Performance of the wireless and wired segments (WAN-LAN) is tested separately. 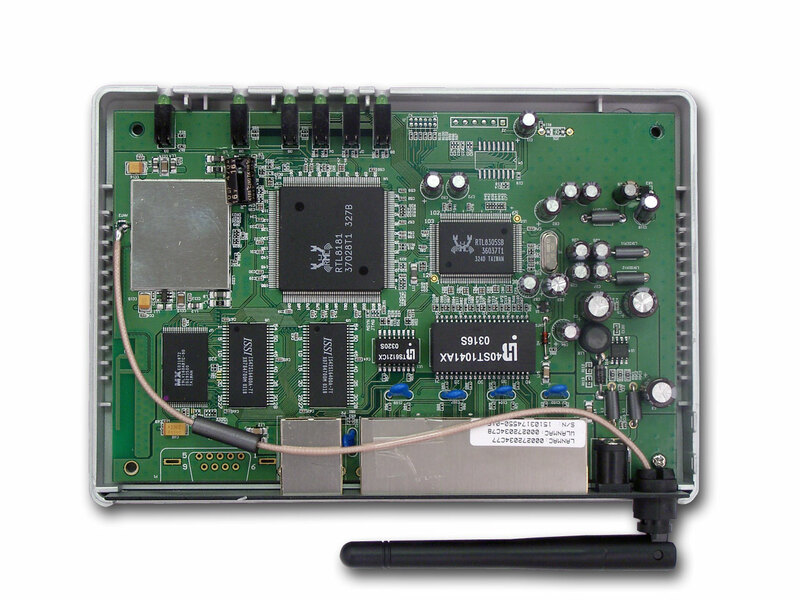 Test modes: both modes of operation, Ad Hoc (direct communication of wireless client with each other, without access point), and Infrastructure (the adapter communicate via the access point). The speeds on the access points and clients were set in the auto mode. 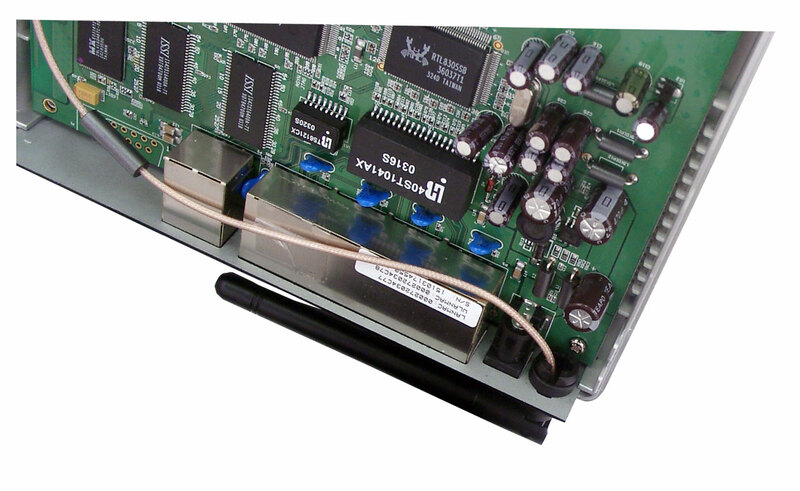 Measurements were taken with the TCP traffic generation utility Iperf v.1.7 with the uni-directional or omni-directional traffic. Each test (30 sec) ran 20 times in a cycle, with the best score among 20, and the average one calculated afterwards. During the tests the wireless network diameter didn't exceed 5 meters. 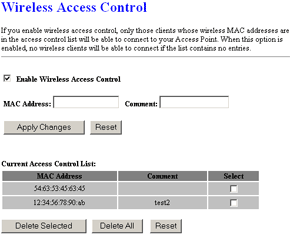 The first mode: 1 wireless client and access point. 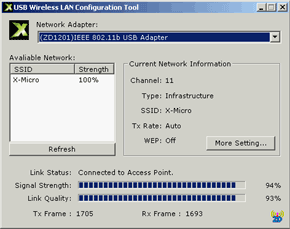 Data rate measured between the wireless adapter (PCMCIA or USB) installed in the notebook PC and a wireless segment of the access point (or router), or rather a computer located in the wireless segment behind the AP. The excellent performance in the halfduplex mode and a good one on the fullduplex mode. The USB adapters looks a bit worse than the PCMCIA card. Data rate in the halfduplex and fullduplex modes between two clients. The scores are pretty high and close to the above tests. The test suite is identical to the Ad Hoc. The data rate is twice lower (two more channels are to be created as the clients communicate via the AP). The tests were carried out according to this test technique. The integrated NAT router performs pretty well, even in the full-duplex mode the rate is over 10Mbit. The maximum data rate fixed is 28.27 Mbit/s. The scores are also high and similar to the Iperf. The tests were carried out according to this technique. Unfortunately, during the scanning the device started losing packets several times and even became unaccessible on the LAN interface (for several seconds), but it didn't reboot. During the scanning we found out that the WEB interface was accessible outside (on WAN interface). Taking into account that we can't close it with the firewall and there's no password by default the consequences can be sad. Most other vulnerabilities (not to mention the poor realization of the tcp protocol which can result in spoofing) are not that critical and relate to the integrated WEB server. Nessus reports (locking off, remote control on). 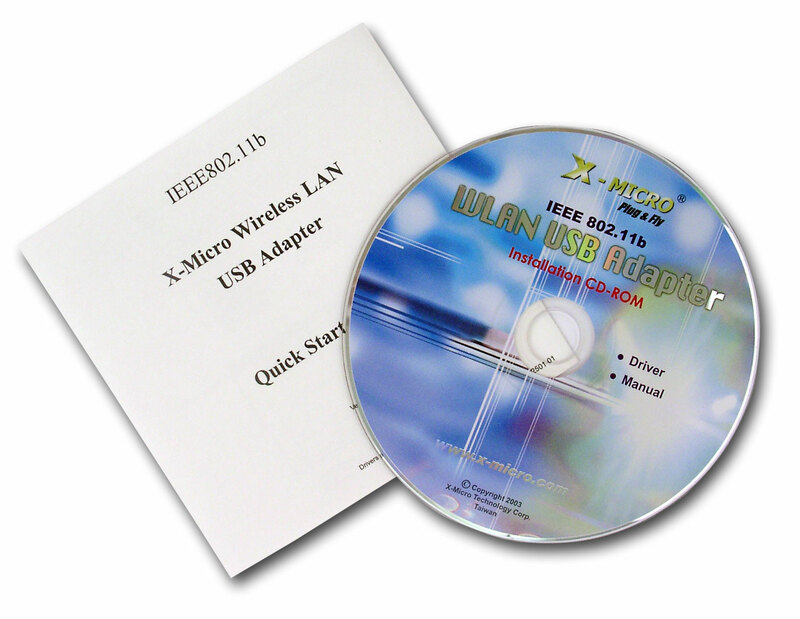 The X-MICRO wireless equipment 802.11b shows good performance; the universal USB client can even hook up any PC with the USB interface to a wireless network. But the wireless LAN router has some flaws in security realization and in the firewall. However, such problems are not that vital as it's still possible to forbid access to the WEB interface by redirecting the 80th port to an non-existing address in the LAN, and most users do not use firewalls at all. Besides, most of such bugs can be corrected in new firmware versions.